Perfect for Mardi Gras season! 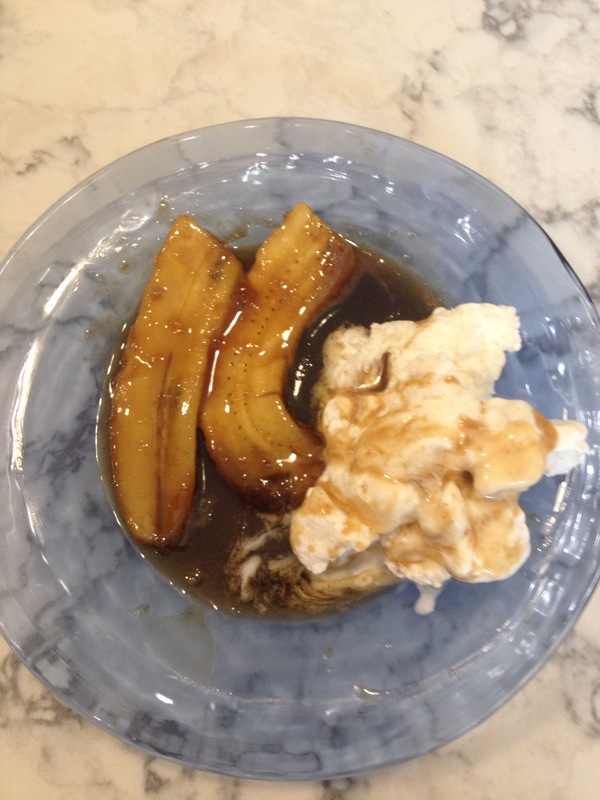 Bananas Foster is a dessert created in New Orleans in 1951 at Brennan’s Restaurant. It is named after Richard Foster, a friend of the restaurant owner. Simmer 1-2 minutes or until sugar is dissolved. Make sure the heat is not too high or the butter and sugar will separate and won’t form a sauce. 4 bananas peeled, cut in half crosswise and lengthwise. 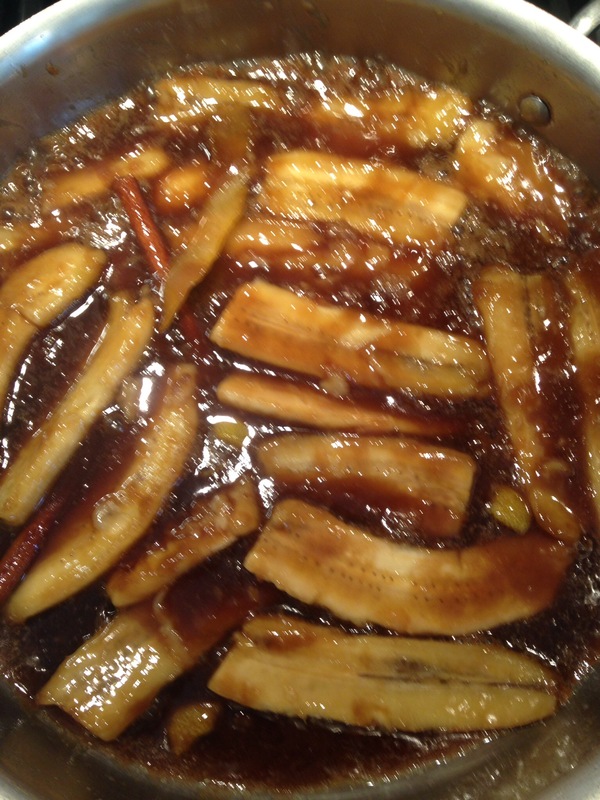 Spoon some sauce over the bananas and cook 2 minutes or until lightly browned and glistening on the bottom. 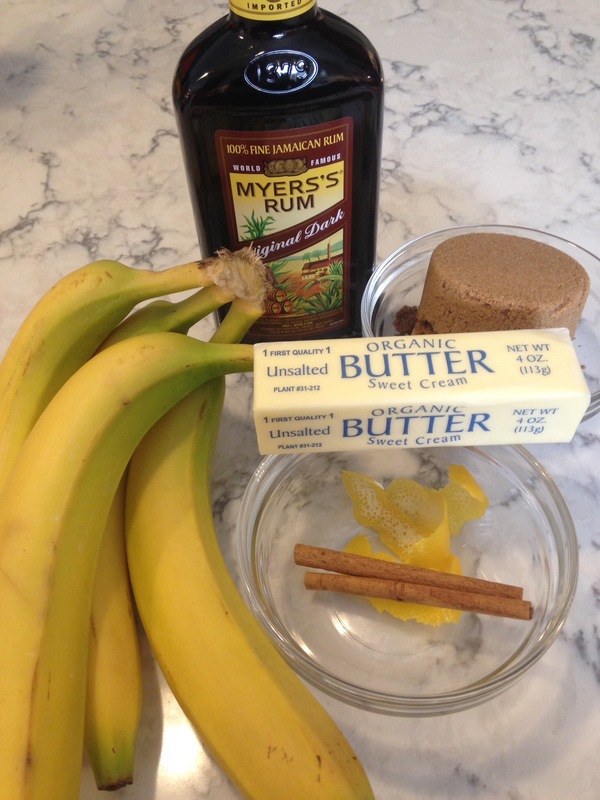 Flip bananas over and cook another 1 minute until soft on the outside, but not mushy. Bananas should keep their shape and not break or fall apart. 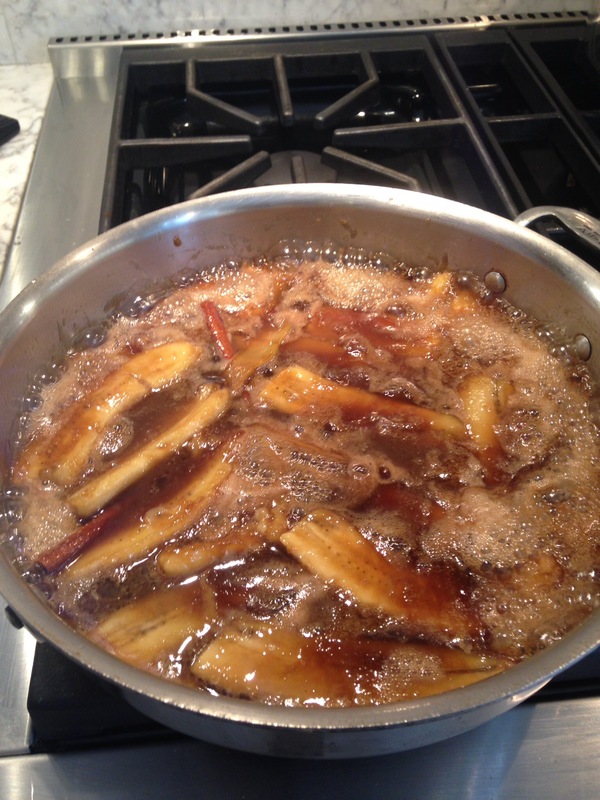 Tilt the pan to distribute the rum and allow to heat up a few seconds. Ignite rum with a match. Swirl and shake the pan to distribute the flame. Posted in sweets and tagged bananas foster, brennans, dark rum, new orleans, richard foster. Bookmark the permalink.